Have you been injured in a Peoria car accident? At the law offices of Goldberg Weisman Cairo, our Peoria auto accident lawyers are dedicated to helping injury victims obtain the justice they deserve and have a proven track record of success. If you have been involved in a Peoria car accident and need an attorney, call GWC at 1-312-464-1234 or complete our “Free Case Evaluation” form to contact us online. Though very few people intend to cause an accident, most drivers on the road do violate traffic laws and safe driving practices at one point or another. Even a law abiding citizen can glance down at a smartphone once too often or forget to replace the tires on their vehicle. In general, car accidents are caused by driver negligence, inattention and intoxication and could have been prevented. If negligent drivers caused your accident, you should seek a skilled attorney. After an injury from a Peoria car accident, you may be entitled to recover financial compensation in a successful suit. With the support of an experienced, reputable Peoria car accident law firm, you can get the financial compensation you deserve and the personalized legal attention you need. Depending on how serious an accident is, the injuries may range from mild to severe. Regardless of the kinds of injuries that our clients face, our Peoria car accident lawyers know exactly how to pursue the best possible outcome. Lawyers cant heal injuries, but they can help create the right financial conditions that will allow you and your family to move forward. The potential list of car accident injuries in Peoria, Illinois are endless. Our clients have experienced everything from slight and mild injuries to debilitating and fatal injuries in wrongful death cases. No matter how serious your injury, our firm has the resources to investigate the circumstances of your comprehensively. We have access to investigators and expert witnesses who can assess the true cost of all of your injuries. 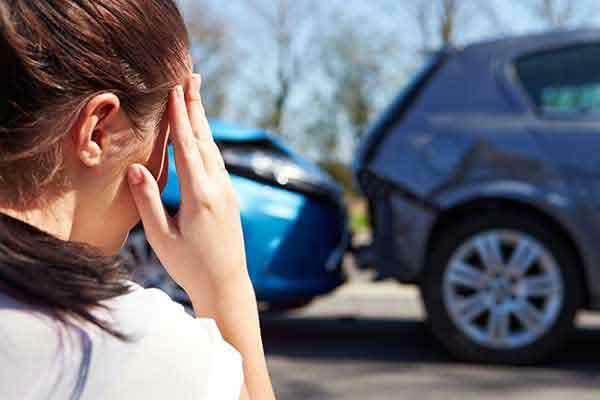 Knowing what to do and who to contact after being involved in an auto accident can be a very confusing and frustrating task. At the Peoria, IL auto accident law firm of Goldberg Weisman & Cairo, we have over 30 years of experience gained from fighting for the rights of Illinois auto accident victims and a proven history of courtroom victories and landmark negotiated settlements. We take our commitment to excellent individual legal service very seriously and are dedicated to the pursuit of justice.